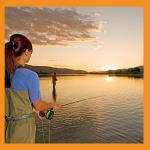 Kamloops is central to over 100+ fishing lakes within a 1-hour drive through diverse and scenic landscape. 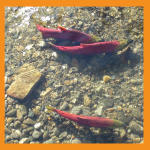 Rent a free fishing rod at the Kamloops Visitor Centre! Click Here for more info! 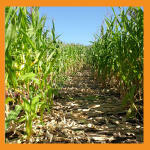 Enjoy their second corn maze in 149 years! Bring your family and friends and try to figure out what paths to take to complete the maze as you wander through this 9 foot tall corn stalk jungle! Your ability to decipher clues will be tested as you try and determine the correct paths to take to get through it. 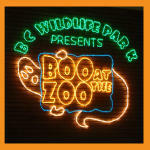 Running mid-September to October 14, 20123. Click Here to find out more! Reba, one of the most successful female recording artists in history, will be performing live at the Interior Savings Centre on October 11, 2013 at 7:30PM with special guest Gord Bamford! Click here for more info. Learn to ride a Segway with your family at Shuswap Off-Road Segway Rentals! Ages 10 and up. Click here for more info on tours and clinics. 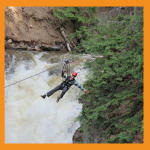 Located near Kamloops in the Village of Chase, treetop Flyers is an exciting family-friendly eco-adventure. Click here for tour info. The park features over 65 species of wildlife spread out over 50 hectares. Every member of the family will enjoy seeing cougars, moose, birds of prey, snakes, grizzly bears, mountain goats, and timber wolves. Click here for more info about the park. 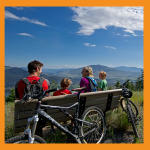 Kamloops&apos; vast, rugged landscape lends itself perfectly to being a great hiking and biking destination. With beautiful fall foliage and dog friendly trails, hiking or biking at one of the many locations in the area is not to be missed. Click here for locations and info. 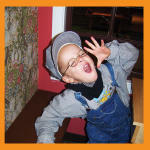 The Children&apos;s Museum, located on the first floor of the Kamloops Museum & Archives includes interactive displays, dress up areas, puppet theatre and more. Click here for more info. 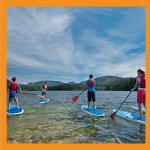 Kamloops has a ton of surrounding lakes with beautiful fall colours views, picnic areas and rentals. Head out on the water as a family! Click here for more info. 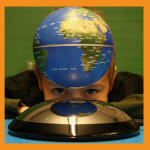 The BIG Little Science Centre is dedicated to developing a passion for science among youth. Pop in for a hands-on experience at the 120 stations to experiment! Click here for more info.